“Jean Kambanda, Convicted Without Trial” is the title of Chapter 16 of the book A History of Political Trials by Dr. John Laughland. 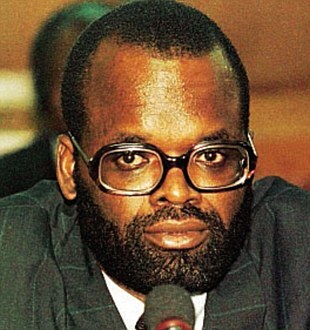 Jean Kambanda’s confession is widely considered to be the sole uncontested evidence that the former Rwandan government conspired and planned to commit a genocide against the Tutsis in 1994. According to many ICTR defence counsel, the essential facts are that his confession is nothing but a miscarriage of justice, a world scandal and a shame for international justice. Upon his arrest on the 18th of July 1997, the Prime Minister of Rwanda was never assigned a lawyer and, unlike other accused brought before the ICTR, he was not taken to appear before a judge on his arrest as required by the Tribunal’s own Statute. Instead, he was taken to the national capital of Tanzania, Dodoma, several hundred kilometres away from Arusha, where the International Tribunal is located. He was kept incommunicado in a hotel for nine months. During those nine months he was denied the right to see a lawyer and was denied contact with his family or friends. During those nine months former Canadian police officers working with the ICTR continuously questioned him, and every day threatened him and his family if he did not cooperate, behaviour that can only be described as psychological torture. [The] officer responsible for administering a “good dose of torture” to Mr. Kambanda was Pierre Duclos. Pierre Duclos is well known in his country, Canada. He was accused of perjury, fabricating evidence and obstructing justice in relation to the aborted trial of the Matticks brothers, a family involved in organized crime in Montreal. Yes, the ICTR hires individuals with a sulphurous past. In fact, the Canadian prosecutor Louise Arbour, whose record as prosecutor is also a dark one, was responsible for hiring Pierre Duclos” according to Patrick Mbeko, a Canadian of Congolese origin, in his article: Rwanda: “Genocide of Tutsis”, The Biggest Lie of The Century. According to our sources inside ICTR Tribunal, Mr Jean Kambanda was told every day that if he did not sign some sort of confession, his life was at risk and that of his family. He endured this for 9 months but then finally gave in and agreed to sign a document in which he stated simply that he accepted responsibility for his government’s actions in 1994 in his role of prime minister. The document he signed, he was told, (English is not his first language) stated simply that he accepted political responsibility for whatever his government did during 1994. He did not understand the document he was about to sign stated that his government had committed genocide. Remember, up to this stage, he had no access to a lawyer, was not told he had the right to remain silent and did not even know the charges against him nor the evidence the ICTR claimed to have. However, once he signed that document, he was finally taken to Arusha to appear before a judge and then was assigned a lawyer. However, he was not told that the lawyer he was assigned was the best friend of the Prosecutor in charge of his case. This lawyer then tricked him into agreeing to plead guilty. He thought he was only pleading “guilty” to political responsibility” for any actions his government took during the events of 1994 and was not a confession to a criminal act as such and he did not understand it to be a confession to war crimes or genocide. His assigned lawyer,and friend of the prosecutor never discussed with him the events of 1994, whether any crimes had been committed and whether or not he had a defence nor did he advise the judges of the circumstances of Mr. Kambanda’s detention and violation of his rights and psychological pressures placed on him. The prosecutor promised Mr. Kambanda that he would receive a 12 year sentence if he made a plea of guilty based on the document he had signed. However the day he appeared in court and made the plea the judges gave him a life sentence without any hearing on the sentence and in violation of the agreement the prosecutor had made. He then spent the next couple of years pressing to be allowed to withdraw his plea as it was made under duress, in violation of his rights and by trickery. Finally in 2001 he was allowed to appear before a panel of judges to argue that the plea should be rescinded and he should be given a trial in which he could present a defence and tell the wolrd what happened in Rwanda in 1994. We have managed to speak to some ICTR Defence lawyers who were in the courtroom that day and watched the proceedings. They all recall how it was disgusting to watch what how he was treated. The prosecution counsel appearing in the “court” that day was also a Canadian. Kambanda told the judges the facts of his arrest and detention and how he was manipulated into signing the “confession” document. He stated repeatedly that neither he nor his government were responsible for planning or organising or conducting a genocide against the Tutsis in Rwanda and he never intended to plead guilty to that nor understood that he had. Kambanda would reply, “yes, but you’re not listening to what I am saying as to how I came to sign that document.” Then the same question was put-“You signed it?” And so on. At the end of the day they refused to allow him to withdraw his plea and he was taken away and silenced. Why did they do this? Because it was clear to them that if he was allowed a trial he was in a position to tell the world what had really happened and it would be a disaster for the RPF and the US and UK that control the tribunal. They could not allow him to talk so they shut him up. The ICTR needed to justify its existence and a reason for a second mandate. In his article titled “Main Achievements of the ICTR”, published in International Criminal Justice Journal of September 2005, Judge Erick Mose, former president of the ICTR, justifies the role of the ICTR stating that “During the first mandate (1995^1999), the Tribunal delivered ground-breaking judgments concerning genocide, such as Akayesu and Kambanda”. Since then many prisoners have refused to plead guilty and have insisted on trials. The accused used these trials especially the MIlitary I and Military II trials to bring out the truth the truth about the 4 year war in Rwanda and that in fact there was no government-sponsored genocide or planning of one against the Tutsis and that most of the accusations are false and that the RPF committed most of the atrocities. 16. I also swear also that the spread of trouble over the entire Rwandan territory was not caused by the government or by the FAR. The infiltrators of the RPF are responsible for that. We succeeded in capturing their plans, the names of their agents, and their arms caches in Kigali, Bisesero, Kibungo, etc. The mass graves dug deep by the accomplices of the RPF were discovered in many places. The terrorised population knew of this and considered it as a threat to their lives. The government, I at the head, never stopped to explain to the population that they cannot confuse the Tutsi and the RPF and that their accomplices [GR Ed. the US] must be arrested and brought before the authorities. As this excerpt reveal, Jean Kambanda was set up and silenced so that the truth about what happened could not come out. But now it has. Now ex-Prime Minister Kambanda is rotting in prison in Mali, without trial, without a voice. His case deserves to be known by all Rwandans and, in fact, by all Africans who care for justice.